A note this week for local folks, I’ll be participating in Washington School’s Family Reading Night in Monticello this Thursday, November 6th. The theme of the night (besides reading, of course) is steampunk!!!!! Ahem, yes, I’m a bit excited about this. Events kick off at 5:30 p.m. and are open to the public. Guests, parents and students will be able to move among different stations to learn about steampunk and see some examples of its DIY aspects. There will also be cosplay, and I’ve finished assembling the last bits of my steampunk costume just in time. I’ll be talking about writing, steampunk, and Mark of the Dragonfly from 6:00 – 6:30 in the gym. There will be plenty of freebies to be had and fun activities for all. If you’re in the area, join us! I’m back! In some ways it doesn’t feel like I’ve been gone very long, but in other ways, it feels like I’ve been away a month. Especially when I look at the piles of laundry to be done, housework to catch up on, revisions to start, and emails piled up in my inbox. Overwhelmed, I am. 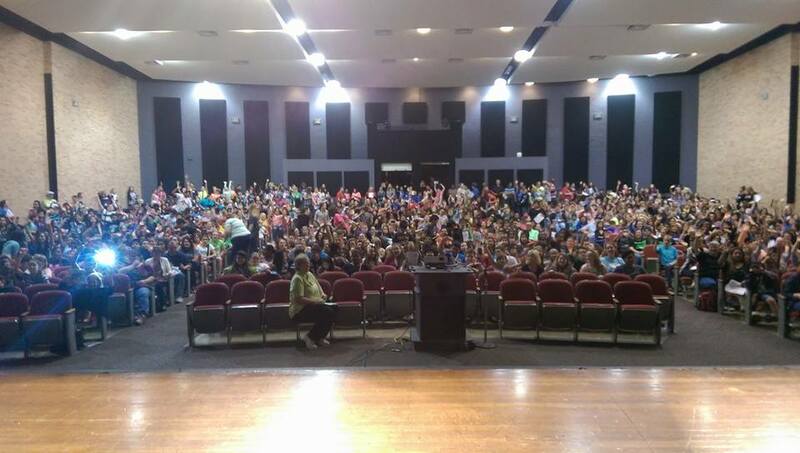 But then I look at this picture from the Tweens Read festival and I grin. Totally worth the time away from home. Back and recovered from the Decatur Book Festival, and wow, what a great time. Huge thanks to the festival organizers and volunteers for making this such an amazing experience. The outdoor children’s stage (or the enchanted forest, as I like to call it) was a great venue for talking middle grade novels, and I had a blast describing Steampunk Stories with author Alan Gratz. His new book, The League of Seven, is out now and looks amazing. It has all the things I love about steampunk plus monsters that feast on lightning. How cool is that? Next up, fall is here and that means it’s time to gear up for touring again. I’ve updated my website with all the cities I’ll be visiting, starting with the Tweens Read Festival in Houston TX. Check it out if you want to know where I’ll be in the coming weeks. And on the writing front, I’m at 25,000 words on the WIP and with edits on book 2 imminent, things could get interesting come October. But busy is good, and I’d much rather be busy writing now rather than in February tax crunch time!